A month after the Feb. 5 death of SE kinesiology department chair Danny Lee Aguirre, officials still have not determined the cause. He was 39. The cause of death is pending toxicology results, according to the Dallas County Medical Examiner’s office. Aguirre, a Grand Prairie resident, is survived by his wife, his parents, two brothers and a niece and nephew. A funeral Mass was celebrated Feb. 10. SE Campus administrators remembered Aguirre as a loyal and dedicated employee and colleague. Campus president Bill Coppola said the campus feels the loss of his presence strongly. Coppola said he was always willing to go the distance if it meant someone received the help they needed. 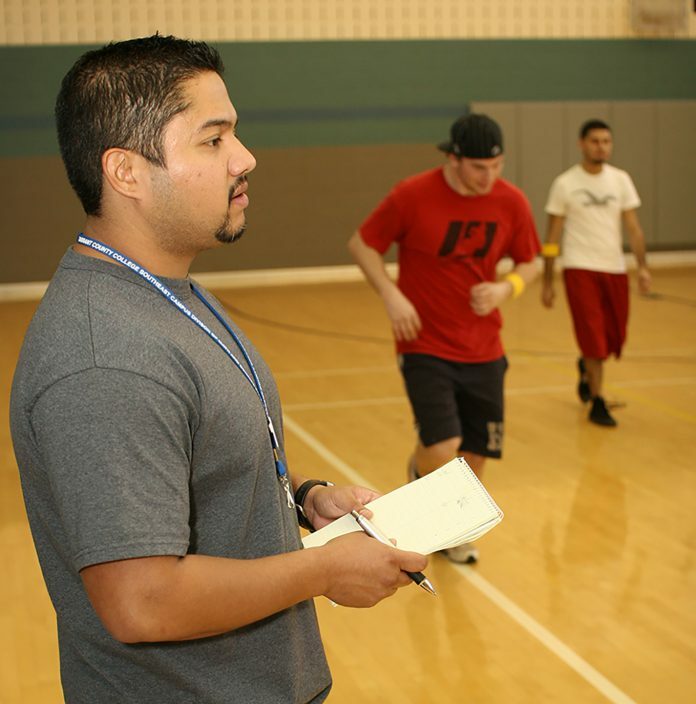 Aguirre began working at TCC 10 years ago as SE’s intramural sports director. After six and a half years, he became the kinesiology department chair. Tommy Awtry, SE mathematics, engineering, science and HPE divisional dean, said his colleague was someone who looked at his work with purpose. “He was serious about his job. He was serious about his responsibilities,” he said. Aguirre served on the district’s kinesiology Academic Curriculum Team, representing the campus to discuss a standardized update to the degree program, Awtry said. On top of the responsibilities of department chairs like building class schedules, Awtry said Aguirre was responsible for maintaining the gym, cardio and weight room. Aguirre put students’ needs above his own, Awtry said.